LEMON CUPCAKES ARE JUST 2.5 NET CARBS EACH! 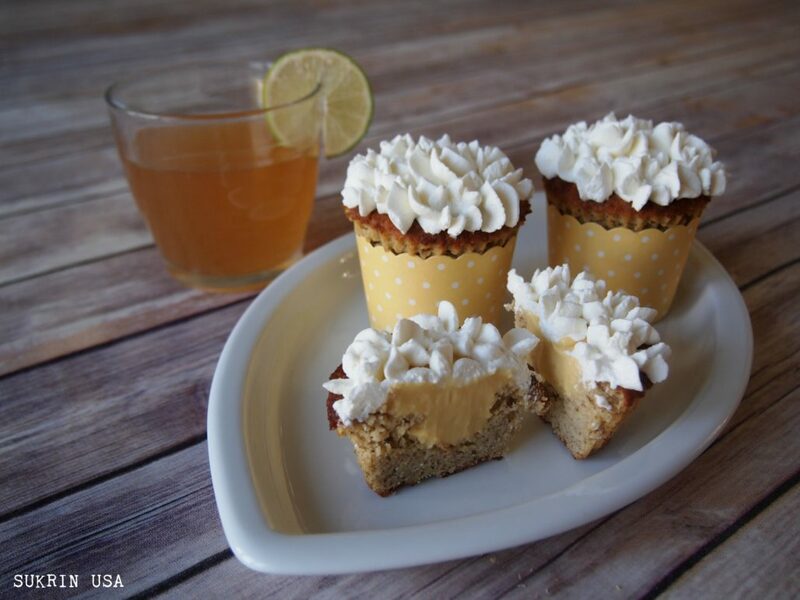 These delectable summer lemon cupcakes are the perfect combination of fresh, sour and sweet and are great for parties or just a Sunday afternoon treat. 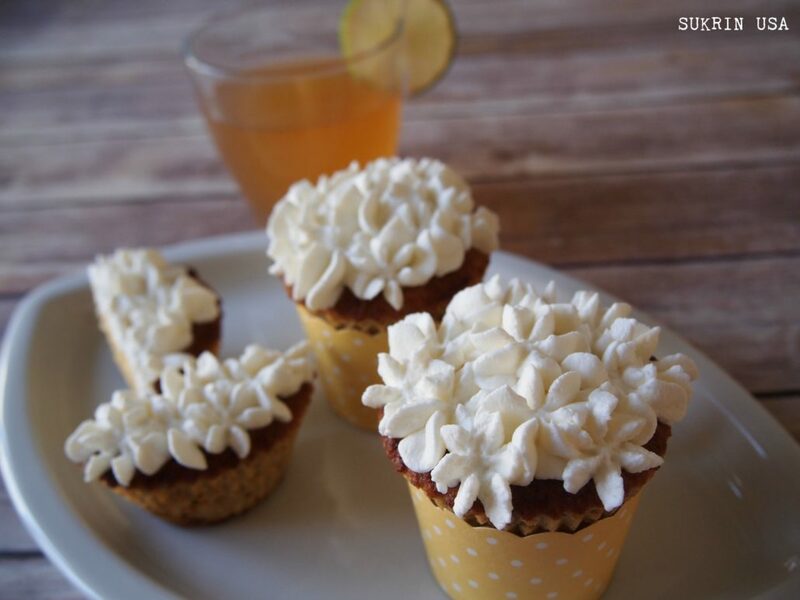 The recipe makes 8 lovely cupcakes and is definitely worth a try! The recipe has been adapted and translated from the Norwegian blog, Let’s Cupcake. Make the lemon curd first. Whisk together lemon juice, Sukrin Gold, eggs, and egg yolks in a pot. Add the butter and gradually turn up the heat to a low setting. Stir constantly. *Remember that eggs turn to scrambled eggs if the heat is too high. * When the butter melts, turn the heat up to medium. Keep whisking until the mixture thickens and gets a creamy consistency. If you see any lumps, strain the mixture. Put the finished curd in the fridge. While the curd is cooling, begin making the cupcakes. Whisk the butter until it is light and fluffy, then add the Sukrin+ little by little. Crack one egg at a time while constantly mixing and then add the yogurt, vanilla powder and lemon zest. In another bowl, mix the almond flour, coconut flour and baking powder. Add the dry ingredients to the wet mixture little by little. DO NOT “overmix”. Put the mixture in cupcake tins and bake them in the center of the oven at 375 degrees for 25 minutes. As the cupcakes cool, whip some heavy cream to decorate the top of the cupcakes. Create a small hole in the middle of each cupcake with a spoon and fill every cupcake with the desired amount of cold lemon curd. 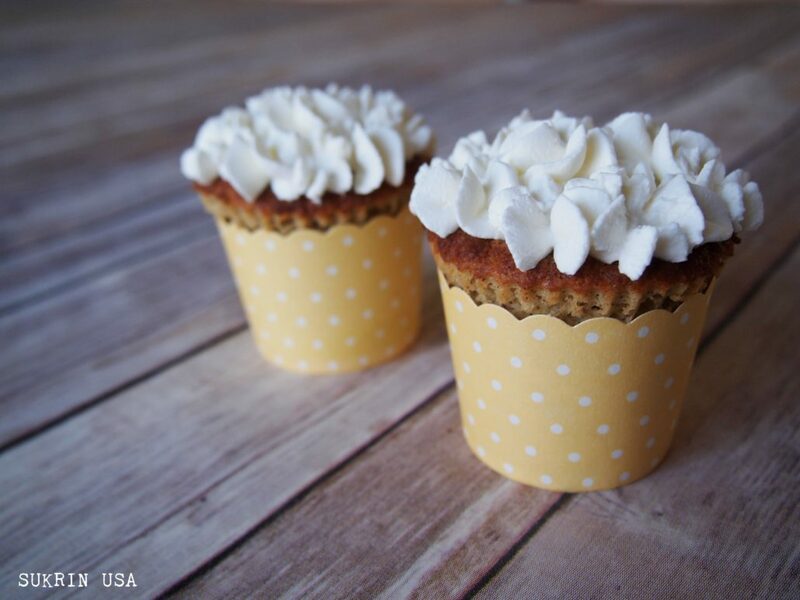 Put the whipped cream on top of the cupcakes and you’re done! Summer Kits with FREE SHIPPING! These kits – and anything else you might want to add to the basket – ship FOR FREE!